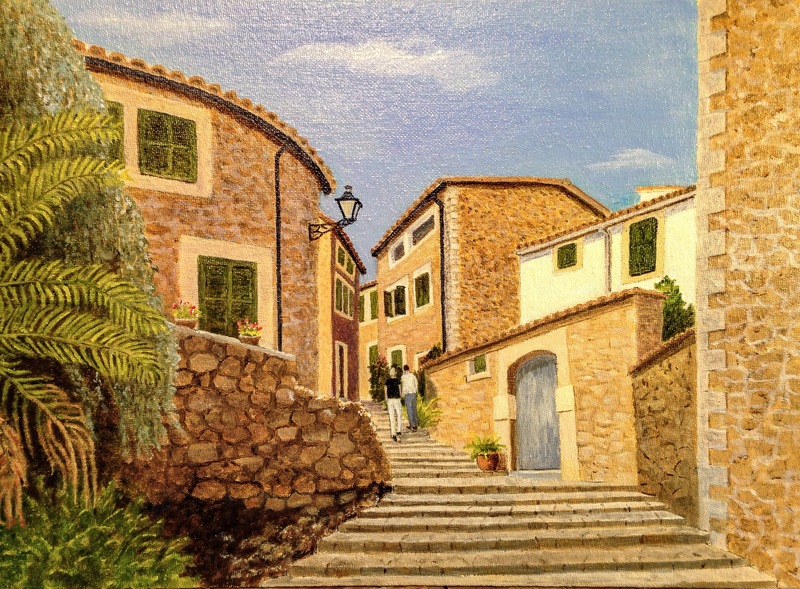 Fornalutx , Mallorca- my oil painting. One of my favourite places! 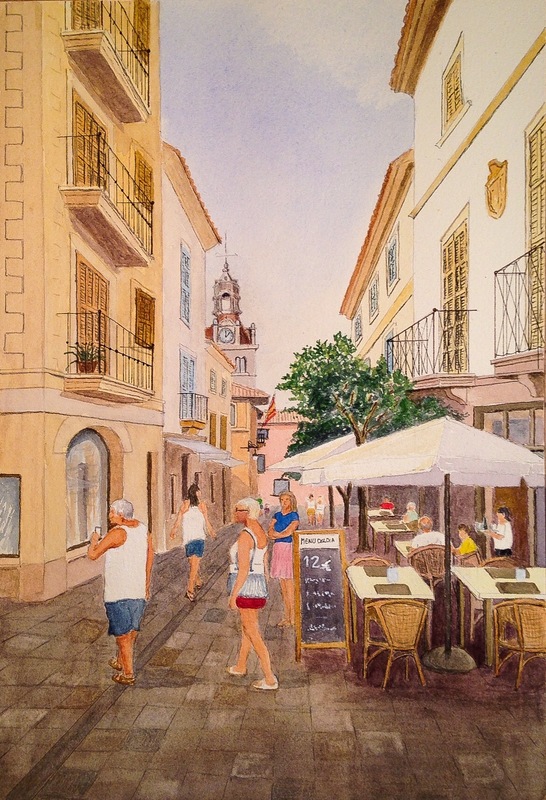 Painted from a ‘photo taken whilst having lunch here a few weeks ago. 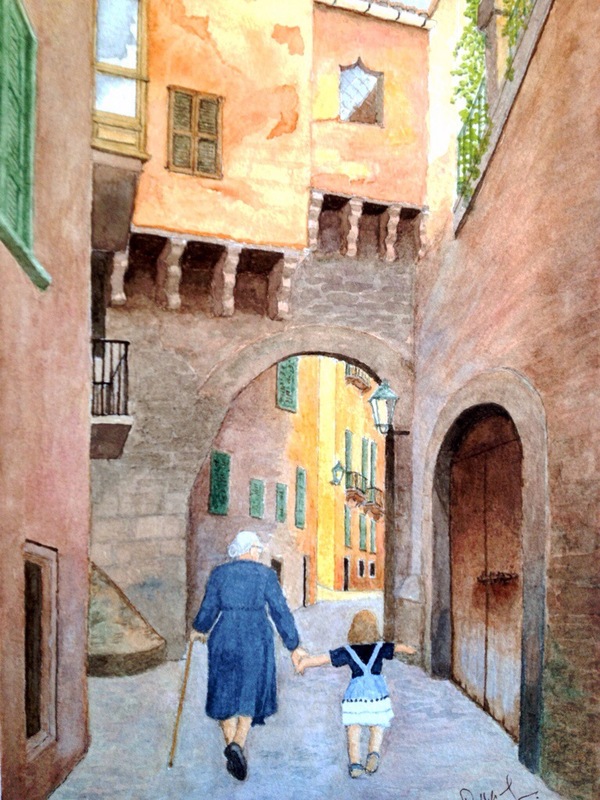 My watercolour of the old part of Palma Mallorca. Lifted the old lady and child from a ‘photo elsewhere in Mallorca. I hope they don’t mind! A quiet backwater near Deia, Mallorca. Set in the Serra Tramuntana, this beautiful area on the North West coast. 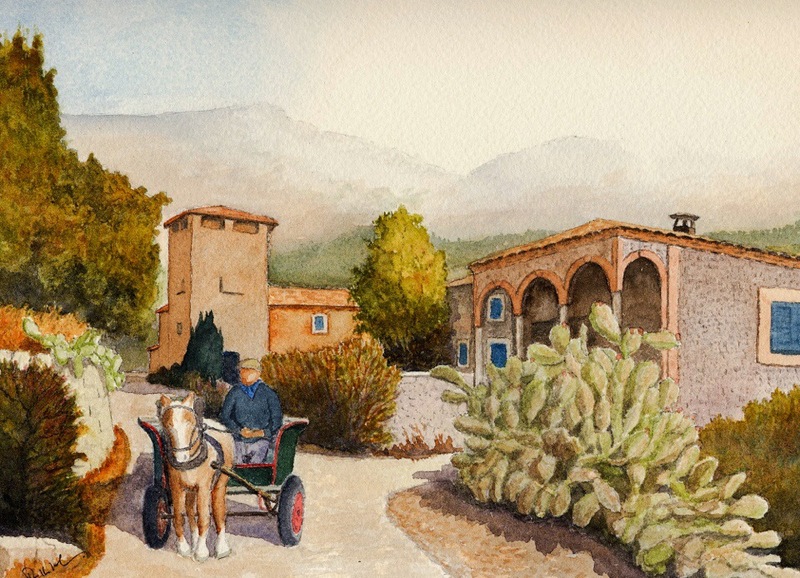 A few years ago when my knees functioned rather better, I spent wonderful holidays walking the unspoilt hills and olive groves in the north of this magical island. 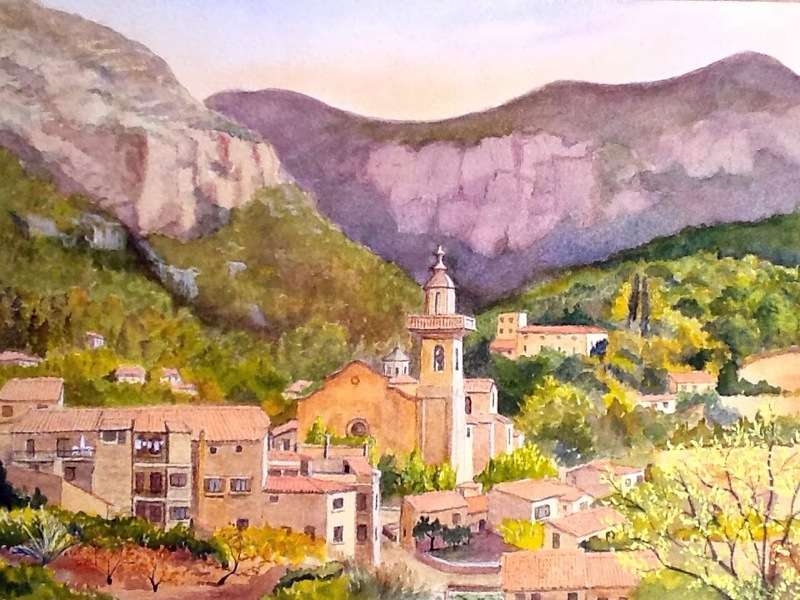 Painted in watercolour.